How would you describe the responsibilities of a Medical Biller and Coder? Well they differ. Medical Billing involves entering clinic and patient data into a practice management software for submitting medical claims to the insurance payer, posting payments from insurance payers and patients, researching unpaid or rejected claims, and running reports on the financial aspects of the practice. A medical coder analyzes patient charts and assigns the appropriate diagnosis and treatment codes. These codes are typically derived from ICD-9 codes and corresponding CPT treatment codes and any related CPT modifiers. The purpose of assigning these codes is to report the services provided by a health care provider to the patients insurance company. These are the codes a medical biller would enter into the medical billing software. At a lot of smaller practices the medical coder may also perform the medical billing functions. We perform some coding but mostly concentrate on billing. How would you describe a typical work day? We typically receive a copy of the practices superbills and EOB or ERA(Explanation of Benfits or Electronic Remittance Advice if paid electronically) on a daily basis. We usually begin by entering the information from the superbill into the practice management software so claims can be submitted. It’s important to get these submitted quickly so the provider can get paid. We usually generate and upload a batch of claims every day to the clearinghouse who then submits to the individual insurance carriers. We also submit paper claims for secondary insurers or those who don’t accept electronic claims. We also spend a lot of day entering the insurance payments into the practice management software. This allows us to print and mail statements to patients for any amount they are responsible for. When we send patient statements out we also get some calls from patients with questions on their bill. Some days when there’s not a lot of claims to enter and submit or EOB’s to post we will print reports on unpaid insurance claims and call the insurance company to find out why they were not paid. We may have to request more info from the doctors office in order to correct and resubmit the claims. What do you like about being a MBC? As a medical biller I enjoy the process of getting a provider paid for their services. What we do is so important to the financial health of a practice. As a business owner I like the independence of being my own boss. Of course it does sometimes involve long hours and a lot of responsibility. What part of being a MBC have you found to be most satisfying? It’s really gratifying to take over the billing for practice who has had billing problems, turning things around, and seeing the response of the provider when they get paid what they are supposed to be. Physicians these days are under so much pressure - the insurance companies are looking for ways to reduce costs so it’s really rewarding to be a part of something that improves the financial health of the practice and allows the doctor to concentrate on seeing patients. What is the average base pay? Medical billers typically start out in the $10 to $12 an hour range and usually top out in the $15 an hour range. Of course this varies depending on where you live. I would expect this to be higher in large cities. However if a medical biller is really good a what they do, a provider can pay higher. I’ve known very experience medical billing specialists that make close to $20 an hour. A medical billing business owner can earn a good salary depending on how many doctors they serve. What sorts of changes are occurring currently in the field? HIPAA legislation that began in 1996 has impacted the patient privacy and impacted the standards for transmitting electronic data. The transition to NPI provider numbers a few years ago was disruptive to some of our providers and required a lot of time and expense to work through. I think technological changes have the potential to improve the productivity of the medical billing profession. 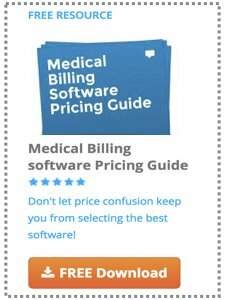 For example I’m seeing more software companies who specialize in providing online medical billing software solutions - such that a practice no longer has to buy and maintain a server and the software that runs on it for medical billing. The use of electronic medical records (EMR) may also impact our profession - but I think in a positive way. It’s sure easier to retrieve a patients medical records electronically than sorting through a bunch of paper files. The biggest challenge in the coming years will be the transition from ICD-9 to ICD-10 diagnosis codes. This will impact a lot of the software systems we use. How is the economy affecting the field? I really haven’t seen a big impact to the providers we serve - they still see about the same number of patients. I have noticed an increase in the patient past due accounts. I think there’s still a great opportunity in the medical billing and coding field. How well did your college experience prepare you for being a MBC? I didn’t attend college. I learned everything about medical billing and coding basically “on the job”. I was fortunate to work for some great people who guided me and trained me well. I’m not saying this is the way to go - there’s times I wish I had gone to school - especially in coding. But this is a profession one can be successful in without attending college. Do you have any advice for someone interested in becoming a MBC? You might want to first decide if you want to concentrate on medical billing or medical coding. I enjoy both but really chose to concentrate on medical billing. I rely a lot on trained coders for coding guidance when our providers need that service. Medical billing doesn’t require as much training as coding but also probably doesn’t have as many options as a medical coder - or have the earning potential. A trained medical coder can perform medical billing - but not necessarily the other way around. Do you have any words of encouragement for someone entering the field? Yes - I think it’s a great profession and have really enjoyed it. I think it’s a stable field to be in as far a job security - and according to the government statistic's (U. S. Department of Labor), there’s going to be strong demand in the field for several years. I noticed where I live that there always strong demand for medical billers and coders. Doctors who have their own practice, clinics, and hospitals are always in need of good billers and coders. If you’re just starting out I would recommend getting some good training and experience - either online, at a vocational or technical college. It’s easier to get a job with some training in the field.